If one says terroir and Israel at the same time, many would snicker and laugh, but when it comes to Tzora Winery they continue to impress. 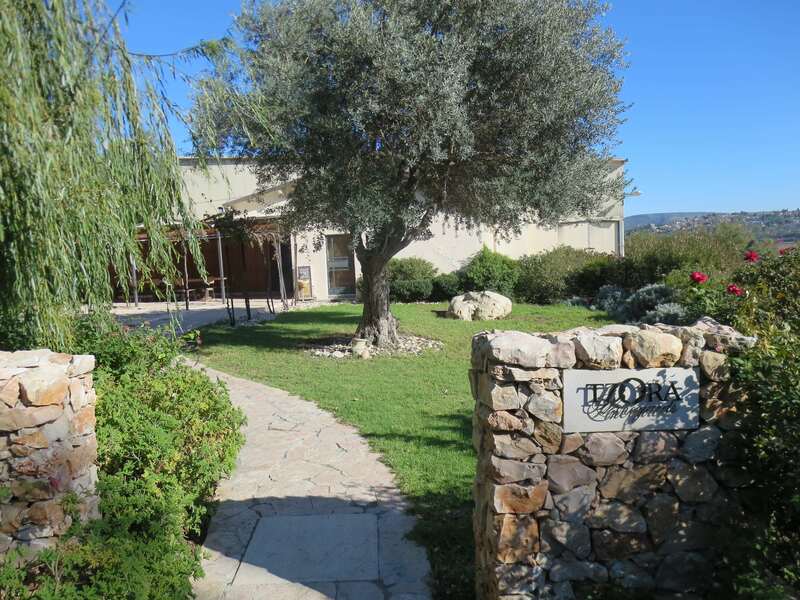 I have written a few times about the Tzora Winery, it is a winery that proves that even in Israel, and even in 2010 and 2011 GREAT and controlled wines can be created. This winery tasting was not a tasting like the previous ones on the trip, you see, we were not “officially” invited to this one. We arrived for the tail end of Nicolas Daniel Ranson and Christophe Bardeau (from Domaine Roses Camille Winery) wine tasting day. Previously to Tzora, they had gone to Flam Winery and Castel Winery, two wineries we had been to a few days earlier. So, when we heard they were going to Tzora as well, we asked them both at the DRC tasting if we could piggy back on the tasting, and they agreed. Of course, in hindsight, in all of the enthusiasm and excitement of the DRC tasting, we forgot to ask Eran and the Tzora Winery if they were OK with it! You see, if you have been keeping up with the blog, we had braved the snow and all, and made our way to the Scala Restaurant, in the David Citadel hotel. We enjoyed the DRC wines with Messrs.’ Ranson and Bardeau. However, at the end of the tasting they were discussing where they were going the next day. We had Ella Valley on the books, but nothing else after that. Since Tzora Winery is a stone throw away Ella Valley Winery, we asked if we could piggyback and they said sure. Well, what we forgot to do was follow-up with Tzora Winery the next day. 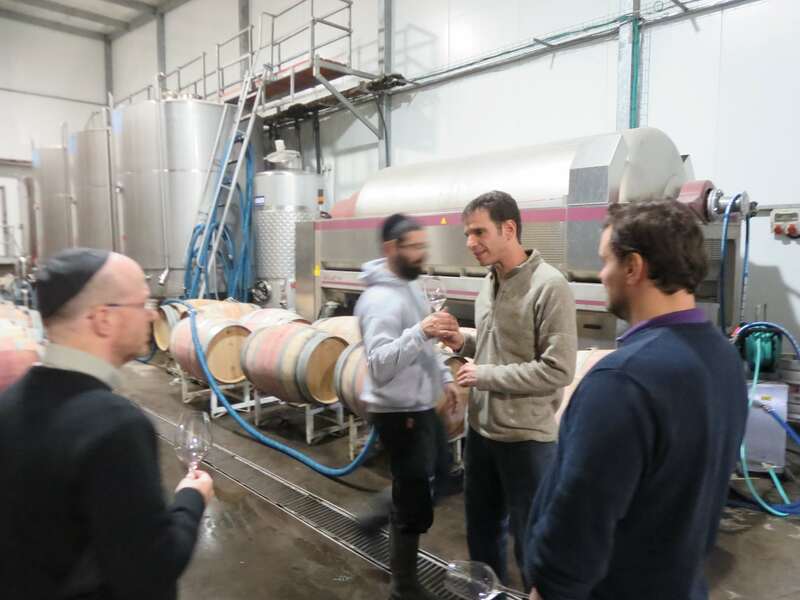 We deeply apologized for being so unprofessional, but Eran Pick, the head winemaker at Tzora Winery, and consummate professional, was so kind and was easy-going about the whole affair, and so we joined the tasting in mid run. If you want the true history and write-up on the Tzora Winery – please go here and read it all the way through – what a winery. 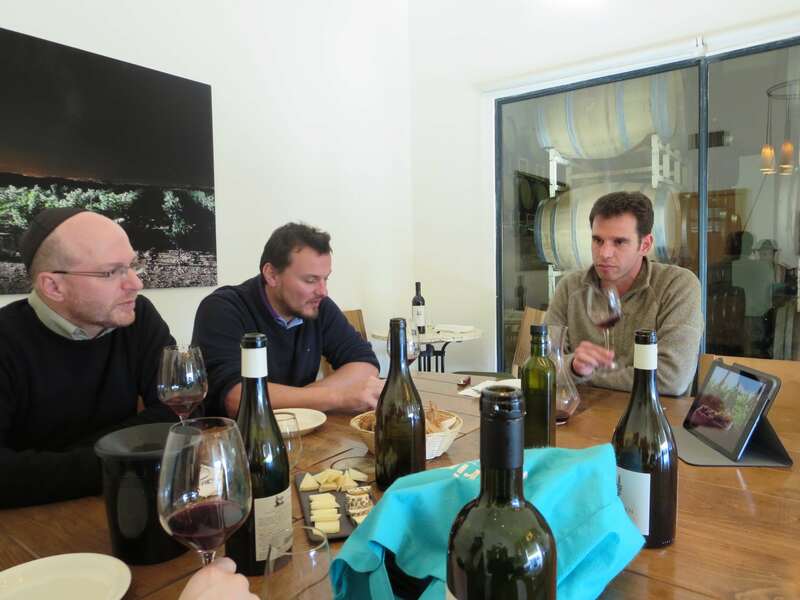 To me the Tzora winery is one of the five best wineries in Israel, and Mr. Pick is one of Israel’s best winemakers. We arrived and they were working their way through the white wines, and what wines they were. The wines showed richness, layers, and ripeness all in perfect control of both fruit and oak. Sure there is oak on the wines, but the oak does not dominate and nor does the fruit feel overripe. Instead, the wines show a harmony of fruit, oak, extraction, and expression – quite unique for Israel. The 2011 and 2010 vintages have been hit and miss in the Judean Hills, where most of the wines are sourced for all of Tzora’s wines. However, these wines were neither overly sweet, uncontrolled, or just unbalanced, like many of the 2010 and 2011 wines from the Judean Hills, with a few exceptions (Flam, Tzuba, Castel, Teperberg, and Yatir). This is not the first visit we have made to Tzora Winery, we have had a few, and most recently a few months before this visit. However, at that visit, the wines, or me, were having a bad day, and I did not think it would be correct to write about them. Even then, the wines were not out of kilter or uncontrolled, but rather they were showing lighter and with less expression. This time, the wines, or I, or both were in the zone! 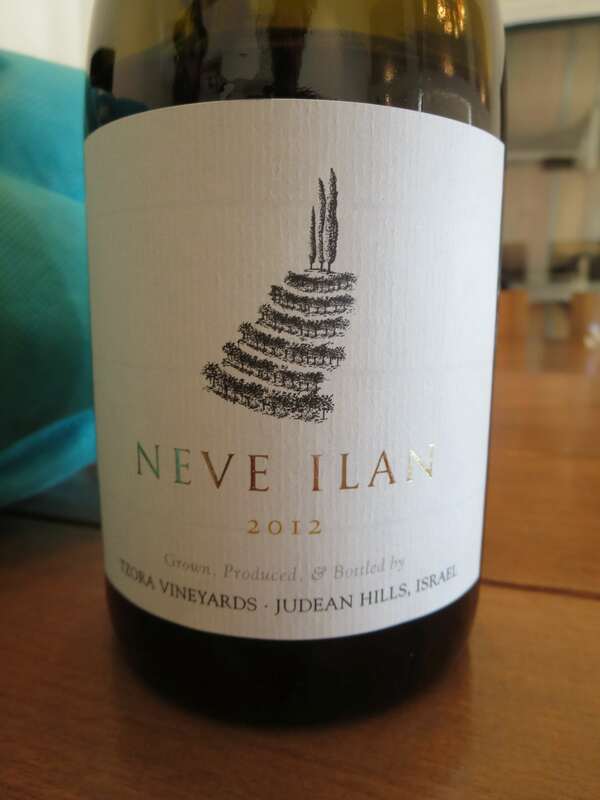 The 2012 Tzora Neve Ilan was showing like a classic Burgundian Chardonnay and was killing it. Bardeau was raving about it but the one he loved the most of the two whites was the 2012 Tzora Shoresh White, a 100% Sauvignon Blanc wine which was aged in oak for 7 months and was tasting rich, layered, but tart and ripe all at the same time – wonderful. When kosher wine comes up inevitably the concerns I listed here, in my 2013 in review come up; price; quality; and uniqueness that would allow them a place on the shelf next to many of the worlds greatest and very good non-kosher wines. Excepting for a small few, there are not many kosher wine candidates that can match the rigor and cost to be on that shelf. I can say, without doubt, that Tzora Winery is capable of being on that shelf. It may be why they chose to go with Michael Skurnik Wines to import their wine to the US. Tzora wines are sold side-by-side at many stores, without any description of them being kosher, and their quality lets them do just that. Sure, Yarden, Yatir, Flam, Castel, and a few wines from other wineries can do that, but Tzora is a winery with a track record as a winery that can stand side by side non-kosher wines and not cower, like the lion that is the Judean Hills. Also, the winery’s change from their old labels to the new white and clean labels, in a strong way show that the wine that lies under the label has nothing to hide, the wine will do all the talking. As I have stated before, this is not the first time I have visited Tzora Winery, nor the first time I have written about the winery, but you cannot write an article about Tzora Winery and not mention its founder, Ronnie James. The man drove the concept of terroir, in the 80s, at a time that almost no one truly understood viticulture and how it affects wine, in Israel. Only years later, did people start to talk about the vine before they started to talk about their wines in Israel that can be attributed to Mr. James. Mr. James, is adorned on the Misty Label tending to a vine, it portrays the epitome of Tzora and his passion for terroir: The symbiotic bond between Soil, Vine and Man. Mr. James brought on Eran Pick and they worked for a year together in the winery, before Mr. James was unable to continue and Pick continued the legacy of James in the wine, while James’s son; Dor James continues his viticulture legacy with the vineyards. 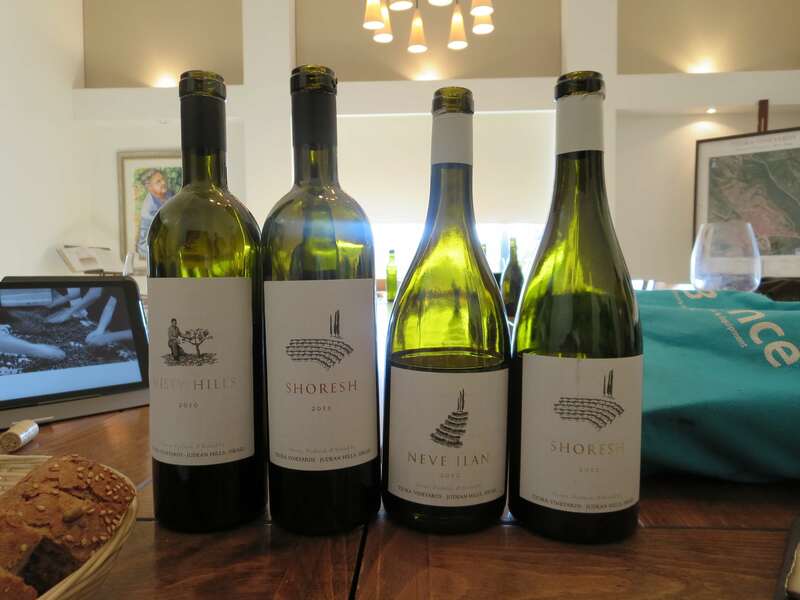 The winery reflects the Judean Hill’s terroir, which they accomplish by owning, maintaining, and nurturing two vineyards in the Judean hills; Shoresh and Neve Ilan, each with varying soils and microclimates. Getting back to the tasting, the best part of it for me was watching Messrs.’ Pick and Bardeau go back and forth about Petrus wines, and the region. Bardeau of Domaine Roses Camille, knows the Petrus Winery very well, having mentored there and who’s own family vineyards are a stone-throw away from Petrus’s famed vineyards. The conversation moved back and forth between French and English, and was a true joy to watch them talk viticulture, wine, and wine making processes. 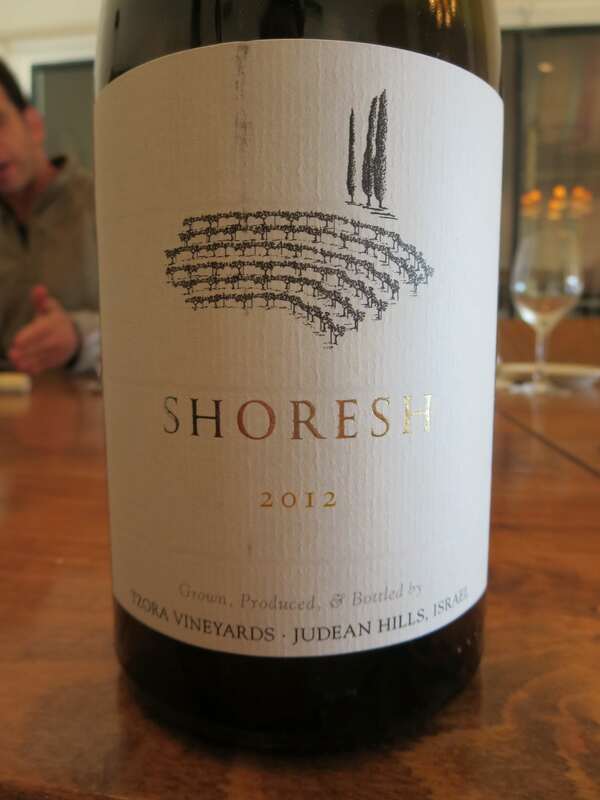 We soon moved to the red wines, the 2011 Tzora Shoresh Red and then to Tzora’s flagship wine – the 2010 Tzora Misty Hills. The red wines were killer, and the shocking aspect is that all of these wine can be purchased for less than 35 dollars now, excepting for the Shoresh Blanc that is sadly not imported to the US. The red wines were showing beautifully, rich, ripe layered, with fantastic concentration and extraction, but all the while showing control and great fruit structure. The wines were a true joy to enjoy, with the Misty Hill’s being the mind-bending wine of them all. 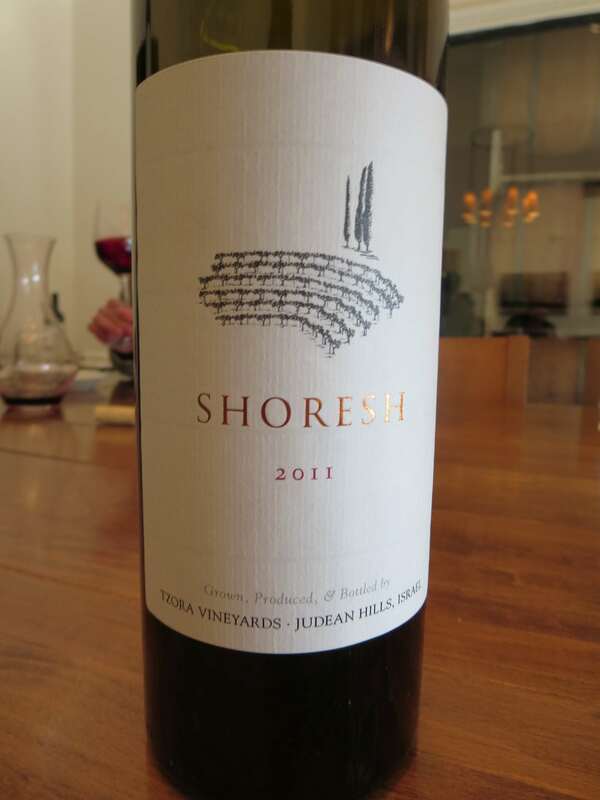 They are both sourced from the Shoresh Vineyards, the red Shoresh is an Israeli blend of Syrah, Cabernet Sauvignon, and Merlot, while the Misty Hills, is a blend of Cabernet Sauvignon and Syrah. As we tasted these two lovely red wines the conversation moved from France, to Israel, back to France and then to the Tzora Winery in particular, and on and on it went. Every so often Bardeau would exclaim the virtues of the wines, his comparisons to French wines that remind him of it and then back to Eran. I would interject here and there, but who was I to intrude upon this meeting of minds and so, I sat back and took it all in – quite a joy to say the least. From there, we moved to the barrel room and Eran let us taste some of the upcoming wines, including another crazy QPR crushing wine; the 2012 Judean Hills blend wine, the baseline wine for the winery and clear winner for sure! The wine is insanely blue, red, black, luscious, and layered and an out-and-out steal for 25 or so dollars. We were then tested to guess a varietal or two in some blind tasting – I am proud to say I “guessed” correctly and it was for a blend that the winery will soon be releasing, which was lovely and will need sometime to come together. 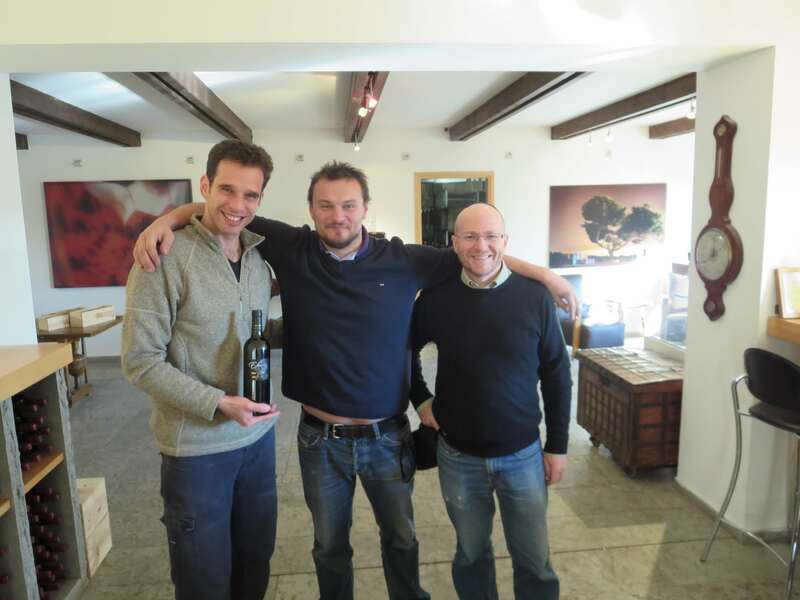 Finally, we tasted a very unique wine, a wine I asked if we could taste, some of the 2013 Oseleta! Tzora has a very small plot of some 100 vines of this revived variety, that was gifted to them Mr. Sandro Boskaini, owner of Masi Winery, in Italy. When we had a chance to taste the wine, it was like licking the inside of a tea bag soaked in luscious jammy fruit – insane mind blowing tannin. It makes Alicante Bouchet seem timid in comparison. The varietal was seemingly lost from Italy’s heritage, until some of Masi’s workers found a few vines and nursed them to health, in the 80s, and then they decided to plant a vineyard of them. Oseleta is characterized as a grape of small diameter, with high levels of tannin and acid, notes we clearly picked up. It also has some floral notes, though I missed those when tasting the wine. Instead, when I tasted the wine I first realized the deeply purple color that infused my glass, and then I when I tasted the wine it showed with intense tannin, great fruit structure, along with tar, mineral, and earth notes. This is a wine that is made of 100% Chardonnay that was fermented and aged in French oak for 9 months, but was not allowed to go through malolactic fermentation. It was named for the terroir and vineyard that the wine was sourced from. The wine’s nose is perfumed and lovely with yeasty and sweet nose notes, showing good quince, slate, kiwi, freshly ground nutmeg, and brioche. The mouth on this full-bodied wine is rich, round, and sweet, but well controlled, with sweet peach, candied apricot, and lovely spice. The finish is long and spicy with great balancing tart fruit and acid, with candied fruit, mineral, slate, dirt, and hints of garrigue. What a lovely professionally made sweet, ripe, yet wonderfully controlled wine. This is a wine that is made of 100% Sauvignon Blanc that was fermented and aged in French oak for 7 months, but was not allowed to go through malolactic fermentation. The nose on this wine is lovely with rich mineral, rock, and dirt, with rich sweet quince, grassy notes, and peach. The mouth on this medium bodied wine is structurally sound, layered, and filled with sweet quince, summer fruit, with nice toast, smoky notes, along with nice mineral notes, and white chocolate. The finish is long and well rooted in mineral, rich slate, crazy balancing tart fruit and acid, along with creme brulee, summer fruit, and hints of pith. What a lovely professionally made sweet, ripe, yet wonderfully controlled wine. This is a wine that is made of a blend of Cabernet Sauvignon, Merlot, and Syrah that was fermented and aged in oak, and named for the terroir and vineyard that the wine was sourced from. The nose on this wine is beautifully redolent with great mineral, graphite, along with rich dried fruit, lovely pomegranate notes. The medium plus bodied wine is rich and layered with lovely concentrated red and black fruit, blackberry, black cherry, and currant, along with nice spicy oak and crazy mouth coating tannin that lingers long. The finish is long and spicy with great rich bakers chocolate, along with elegant and massive mouth coating tannin that drapes your mouth, showing lovely fruit control, black fruit, with mineral, slate, and graphite, that lingers long with tobacco, and almond pith. BRAVO! This is a wine that is made of a blend of 55% Cabernet Sauvignon and 45% Syrah grapes sourced from the Meubanim plot in Shoresh vineyard, that was fermented and aged in oak, and named for the mists that form as warm air from the Mediterranean collides with cool air descending from the mountains. The nose on this wine is so beautifully redolent and perfumed that it shocked me. The nose starts with lovely floral notes, ripe blueberry, and blackberry, along with rich licorice, showing good mineral, graphite, and spice. The mouth on this insanely full bodied and elegant wine, with great searing tannin, lovely bracing acid, along with deep layers of concentrated blue and black sweet fruit, along with spicy oak, The finish is a long and mineral finish with graphite, sweet notes, hints of date, rich leather, chocolate, and ripe fruit all coming together beautifully, with almond and other bitter notes. BRAVO! What a lovely well balanced and ripe wine. Posted on March 10, 2014, in Israel, Israeli Wine, Kosher Red Wine, Kosher White Wine, Kosher Wine, Wine, Wine Tasting, Winery Visit and tagged Cabernet Sauvignon, Chardonnay, Judean Hills, Merlot, Misty Hills, Neve Ilan, Petite Verdot, Sauvignon Blanc, Shoresh, Syrah, Tzora Winery. Bookmark the permalink. 15 Comments.